As US-based social media companies crack down on dissent at home in the name of fighting phantom ‘Russian meddling,’ Washington seeks to leverage them for regime change in places like Iran. If social media platform Twitter can ban German politicians for incitement (of race hate), then why doesn’t it apply the same sanction on President Trump over his incendiary comments regarding Iranian protests? Arguably, Trump’s incitement is far graver. He is recklessly encouraging violence in a whole nation. The arrogance is astounding and yet Twitter and other US news media just go along with it. So too do European leaders and media. 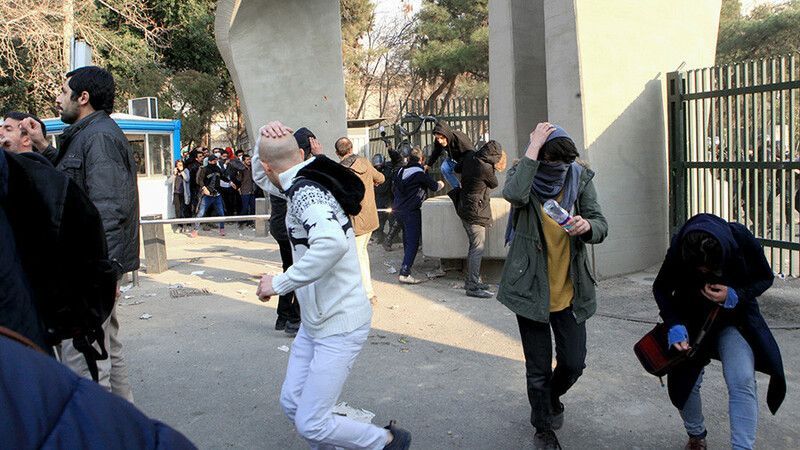 Trump and his administration have been full-on in public statements egging on protests which broke out in Iran last week. Trump’s denouncing of the Iranian government as “brutal and corrupt” and urging “time for change” is a brazen incitement to sedition. Meanwhile, Nikki Haley, the insufferable US ambassador at the United Nations, added to the hysterical chorus coming out of Washington. 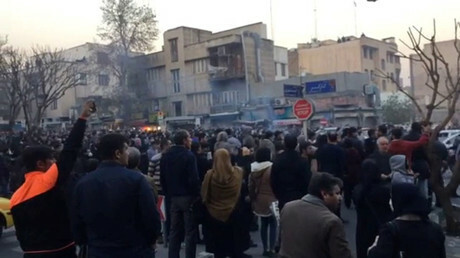 She called for an emergency meeting Friday at the Security Council in order to condemn Iranian authorities for their handling of demonstrations in which some 20 people have been killed after nearly seven days of disturbances. This is grossly irresponsible interference in the sovereign internal affairs of Iran. Russia has rightly censured the US for meddling in Iran’s domestic politics. Moscow said the emergency meeting called by Haley at the UN was “harmful and destructive” grandstanding. The laughable irony of this is that American politicians and news media have been banging on for over a year with allegations of Russian meddling in US internal affairs, notwithstanding that no credible evidence has been provided for these American claims. However, the US entitles itself to plow headlong into Iranian politics with reckless abandon. 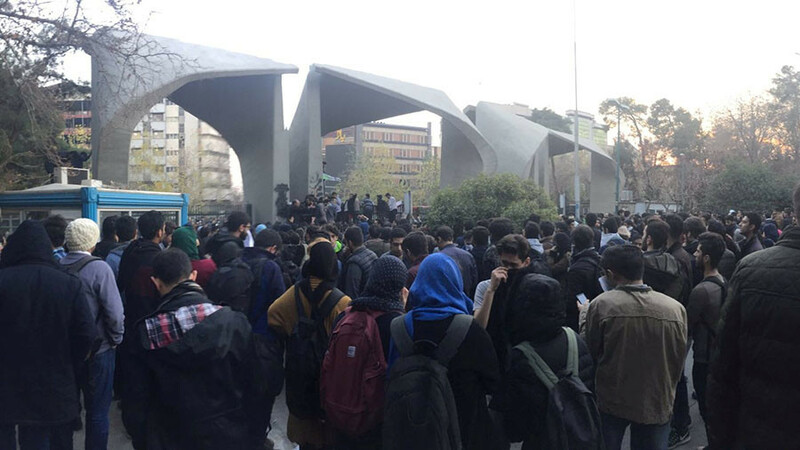 The initial protests, which only involved hundreds of mainly youth, have since been dwarfed by massive rallies in support of the Iranian government of President Hassan Rouhani. But from the Trump administration and US media spin, one would think the whole country was in mass revolt. 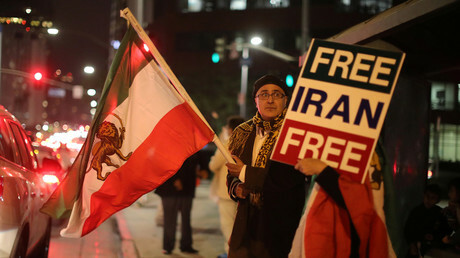 What unfolded in Iran was reminiscent of how initial protests in Syria back in March 2011 were quickly hijacked by violent agitators serving a regime-change agenda pushed by Washington, Britain, France and regional partners. That led to an all-out proxy war in Syria which has only now subsided, thanks largely to Russia and Iran’s military intervention in support of the Syrian state. Such an outcome is unlikely to happen in Iran. As noted, the initial protests have waned and the government appears to have security matters under control. Nevertheless, the involvement of US and to a lesser extent European states was no doubt a repeat attempt at destabilizing Iran. 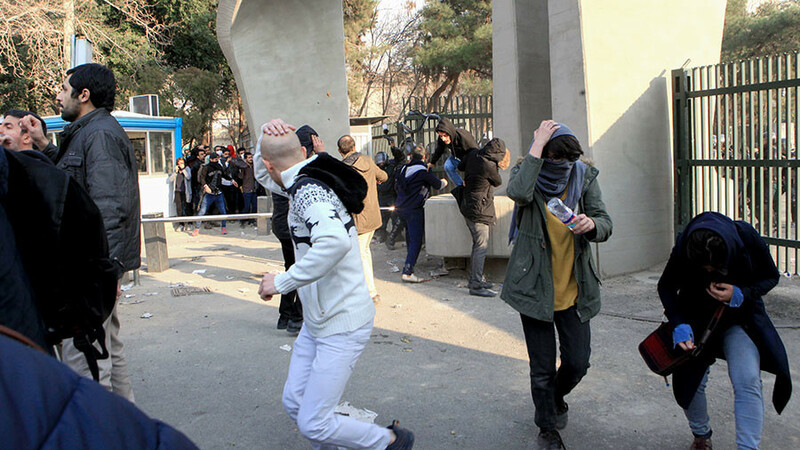 The US State Department has openly sided with the Iranian street protests, demanding the government “to allow the free exchange of ideas and information.” It also urged social media platforms like Twitter and Facebook to promote the protests. That, by the way, would answer our opening question about why Twitter doesn’t shut down Trump over incitement in Iran. Twitter is evidently being used as a tool of American foreign policy. It’s not just social media working with the US government. Large sections of the mainstream news media were evidently deployed to fabricate the turmoil in Iran as a pro-democracy uprising. 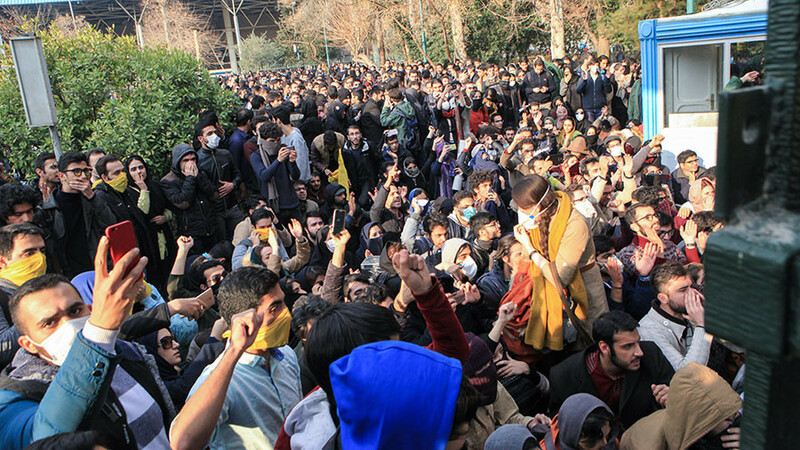 Images purporting to show young Iranian men and women holding up clenched fists amid clouds of teargas were repeatedly published by CNN, New York Times and Washington Post, among others. What we saw over the past week was an audacious propaganda campaign by the Trump administration in concert with supposedly “independent” American news media. The narrative of “freedom-versus-oppression” has little basis in reality of the situation in Iran. Much larger public rallies occur all the time in American and European cities decrying police racial brutality or economic austerity policies. But somehow the relatively minor demonstrations in Iran this past week are supposedly a harbinger of revolution. Another illustration of media perception management (propaganda) is the lack of coverage given to major rallies that take place in Saudi Arabia and Bahrain, two important US Arab allies. Dozens of people have been killed and thousands imprisoned during recurring demonstrations. Arguably, protests in Saudi Arabia and Bahrain are genuinely motivated by pro-democracy demands against autocratic regimes. But we hardly – if ever – hear about that in US and European news outlets. In Iran’s case, well that’s different. Not for any objective reasons, but simply because the Trump administration has ramped up an aggressive policy towards Tehran, in league with Saudi Arabia and Israel. In one of this Twitter attacks, Trump vowed “great support from the United States at the appropriate time” to the rioters in Iran. American media also reported US diplomats seeking to “coordinate strategies” with European counterparts on Iran. That suggests Washington is going to step up its interference in Iranian domestic politics. The White House and State Department are using the UN, European governments, social media and mainstream news outlets to advance a hostile agenda. And the Europeans – with typical timidity – appear to be obliging the American bully. This week, Britain and France issued condescending pejorative statements calling on the Iranian government to “allow peaceful protests” and to show “restraint.” One wonders how the British and French governments would respond to demonstrators who were torching police stations in their own countries. French President Emmanuel Macron also added that Iran was “destabilizing the region” by interfering in other countries. You could hardly make up the absurd hypocrisy coming out of Washington and European allies regarding Iran. Let’s be clear, there are doubtless real grievances among the Iranian people over deteriorating economic conditions. Iran’s President Rouhani has acknowledged these grievances must be addressed in a review of government policies. That is something for the Iranian nation to resolve. 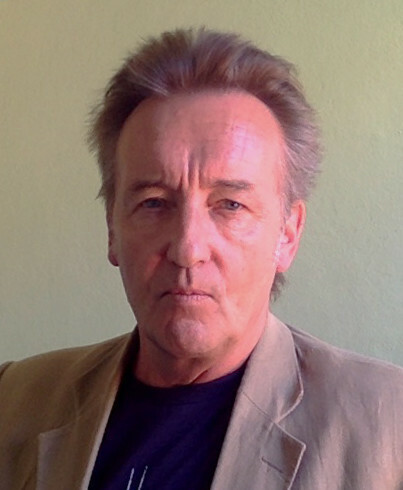 Besides, much of the adverse economic conditions have been caused by the US and Europeans failing to implement the 2015 nuclear accord and sanctions relief. What is inadmissible, however, is the arrogant presumption shown by the US and Europe to immediately meddle in and distort Iranian politics. That presumption betrays the regime-change prerogative that these same powers appoint themselves with. The criminal interference in sovereign nations by the US and Europe has resulted in horrendous conflicts across the Middle East region in particular. 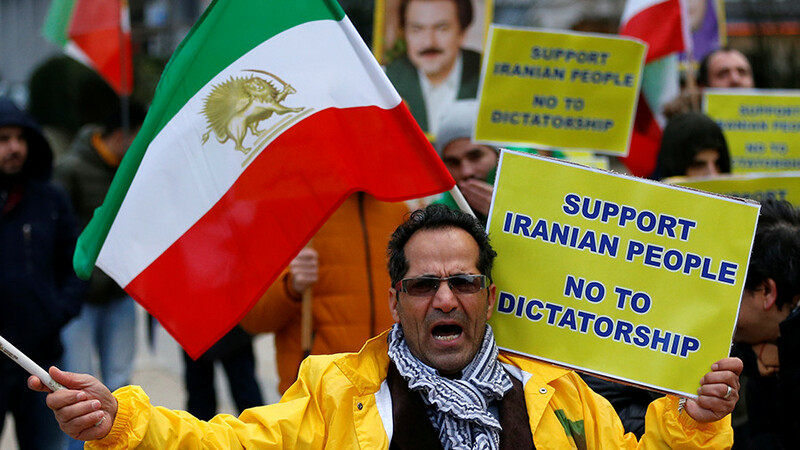 What the US government and media are doing in Iran is another case of criminal interference. 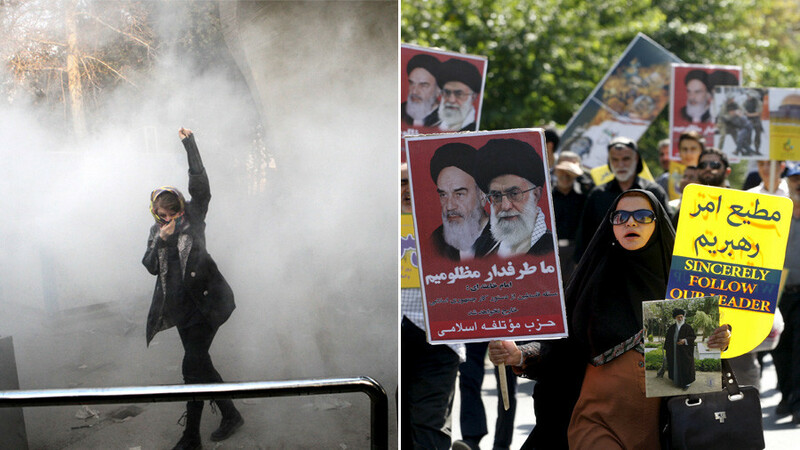 Calling people out on the streets of Iran, as Trump and his officials are doing, to overthrow their government cannot be a more brazen example of incitement.